The wasp killer is fully trained and equipped with all the tools to carry out a safe and successful treatment of your wasp nest. Before any treatment takes place I will check that all windows and doors are closed and that no one is in the immediate vicinity. I use a DR5 Powder Duster, this machine will deliver the FICAM DUST directly into the nest. Any wasp within the nest will die quickly and because the insecticide is in a powder form, any returning wasp will also come into contact with the residual dust and therefore perish. 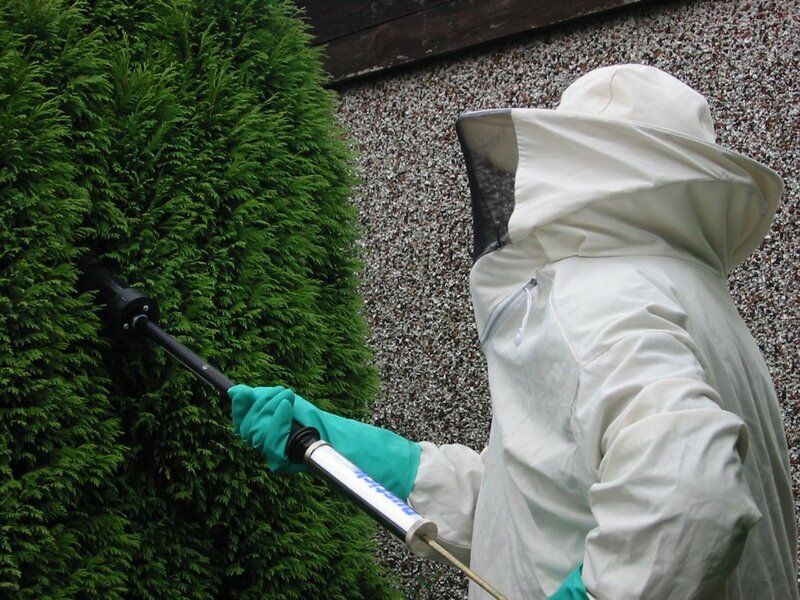 If, after 72 hours, you see wasps entering and exiting the nest or nest hole then give me a call and I will return to retreat the nest free of charge. I charge £45 per nest and any additional nest on the same property I will only charge an extra £10. Call 07581 563 020 today don’t delay.